The report, published Monday in the Proceedings of the National Academy of Sciences, said the economic toll of air pollution costs taxpayers $866 billion per year. 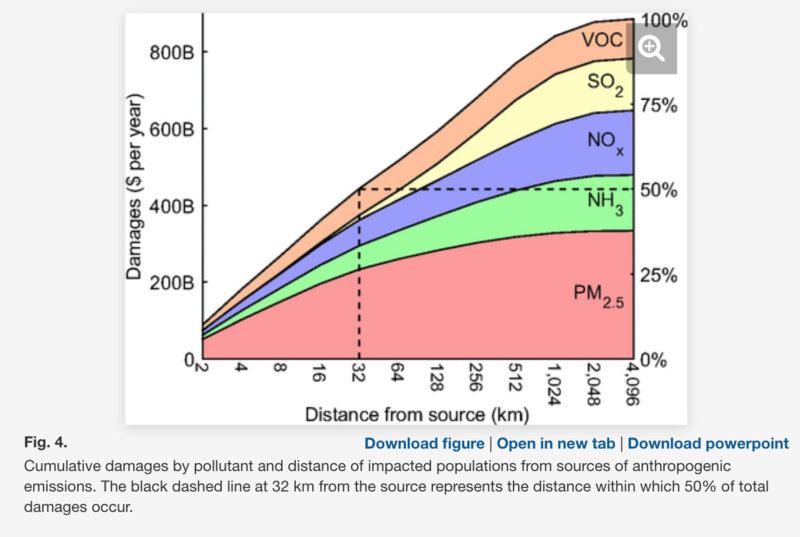 Researchers concentrated on PM2.5, refers to atmospheric particulate matter (PM) that is 1/20th the width of a human hair – can travel past human body defenses and absorb into the bloodstream or even lungs. The particles cause irritation and inflammation and can lead to lung disease. Long-term exposure can cause cardiovascular disease. 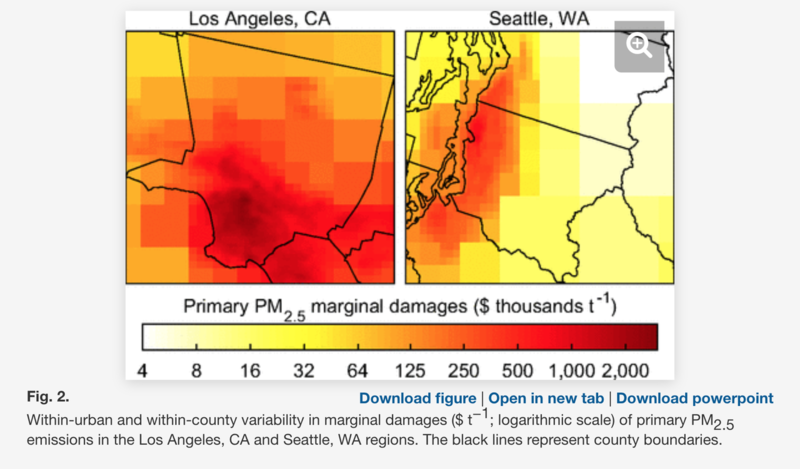 The highest exposure to PM2.5 is in metropolitan areas across the country such as Los Angeles and Seattle. 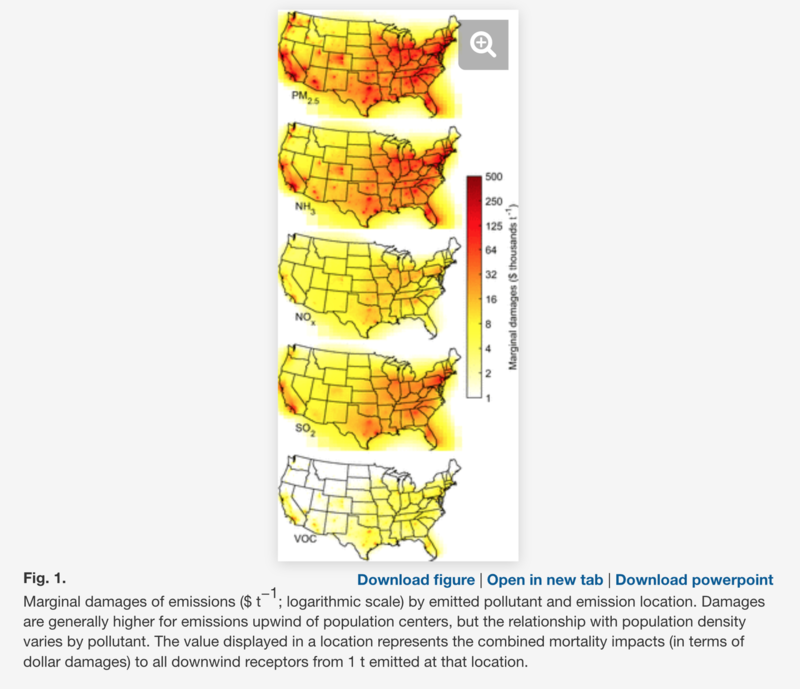 Researchers used the Intervention Model for Air Pollution (InMAP) to calculate specific estimates of air pollution from emission sources. The model showed that 33% of the deaths reported in the study were people who lived within 5 miles of the pollution source. About 25% of the deaths were people who lived more than 150 miles from the pollution source. 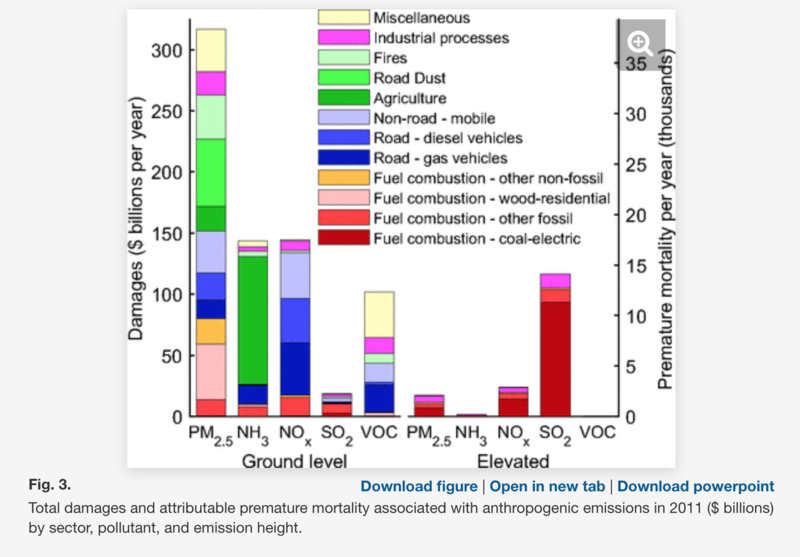 Of the 107,000 deaths per annum, 57% were associated with emissions from energy consumption. About 28% was related to transportation, 14% from coal-fired and gas plants and 15% from farms. Researchers used emissions data collected by the Environmental Protection Agency (EPA) that showed air pollution is extremely harmful to human health. Recently, we have reported on various studies that revealed air pollution in smog-choked cities in Asia can shorten people’s lives. In the U.S., low-income communities in urban areas are dangerously exposed to air pollution and its health impacts. Dr. Brian Christman, a spokesman for the American Lung Association, said more than 100,000 deaths per year linked to air pollution should be a concern for everyone. Last year, the Trump administration published new plans that would let state governments set their emission standards. The EPA’s risk analysis said this plan would resort in more air pollution and deaths by 2030. The report ends with a warning that deteriorating air quality in larger metropolitan areas will have a significant burden on the American economy. Researchers stressed that any reduction in air pollution could save thousands of lives and the economy billions of dollars in the next decade.